In the late 60s/early 1970s, a meteor shot across the sportsworld, a young African American tennis player named Arthur Ashe. He won the US Open in 1968, becoming the first black man to win a “major.” In 1970, the won the Australian Open, and in 1975, wearing the “whites” of the All-England Club, he defeated the brash Jimmy Connors to claim the Wimbledon crown. 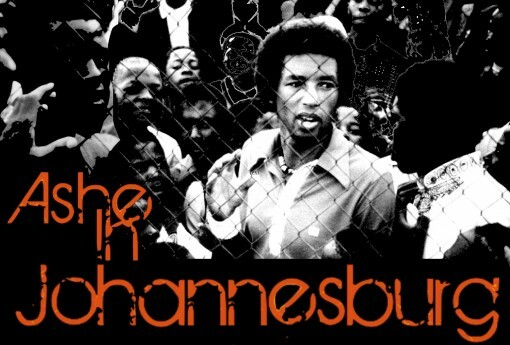 But it was a little known competition that he entered in 1973, one that took him into the heart of Apartheid South Africa, that saw Ashe fight, and win, his greatest battle. And it wasn’t on a tennis court. This production is suitable for ages fourteen and up. Please call for info on Group Rates! This was written by charles. Posted on Thursday, January 17, 2019, at 9:53 am. Filed under Uncategorized. Tagged Burning Coal Theater Company, new plays, playwriting, Raleigh, theatre. Bookmark the permalink. Follow comments here with the RSS feed. Both comments and trackbacks are currently closed.